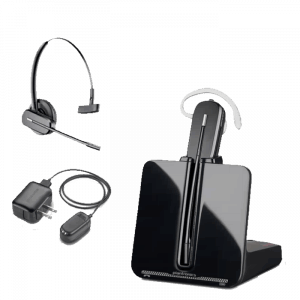 Polycom VVX Compatible Headsets - Headsets Direct, Inc. 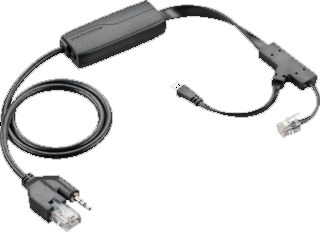 Looking For The Best Polycom VVX Compatible Telephone Headsets? In 1998 Polycom entered the desktop phone business with its line of SoundPoint phones and continued expansion in 2001 when it enter the IP business with its SoundPoint IP 500 line. 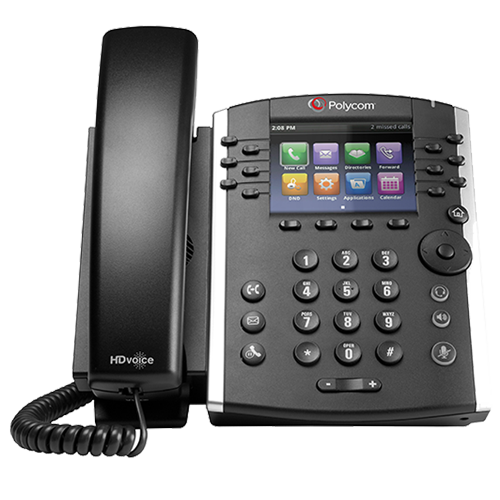 Today the Polycom VVX line has become a popular choice as companies move to the cloud and VoIP. For Polycom VVX headsets, you have many choices to choose from, including both corded and wireless solutions. 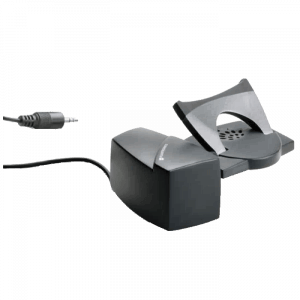 When considering the best Polycom VVX headsets that are corded, you will need two pieces of equipment. 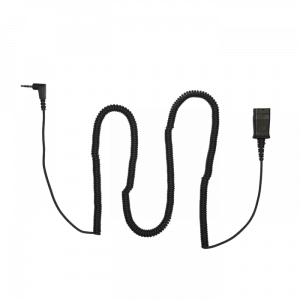 First will be any Plantronics H-series headset, and second is a Direct Connect cable, which plugs into your phone and connects to the headset. 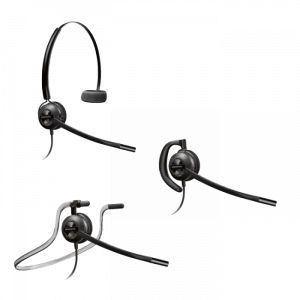 When selecting a headset, you need to consider if you want one that fits over your head; which will be more durable, fit more securely, and provide the best sound quality; or if you prefer a smaller and lighter headset that fits over your ear. 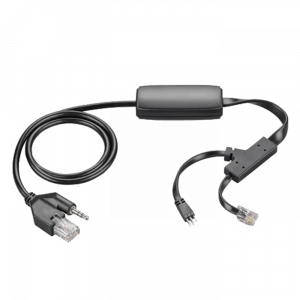 The Direct Connect cable you will need is called a U10P cable. 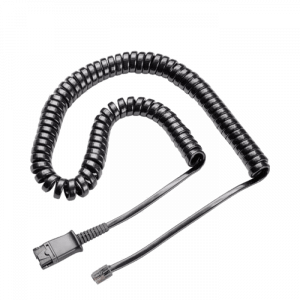 It’s specifically made for headsets for Polycom VVX phones and will stretch to give you 8-10 feet of reach from your phone and plug into the headset port. To answer or initiate calls, you simply press the headset button on the front of your phone. If your budget allows for a wireless headset, you will benefit by cutting the cord and roaming your office while talking. This greatly improves your productivity as you walk to ask co-workers questions or retrieve necessary documentation while continuing your call. Polycom VVX headsets that are wireless also come in headband or ear models. When deciding between models, consider the fact that wireless headband models will have longer battery life, be more durable, and have the best possible sound quality. Ear models will have less talk time with smaller batteries, but this makes them lighter in weight, much smaller in size, and less noticeable if you continually have face-to face conversations with customers or clients. Scroll Down to Plantronics Mode, and then press Select. NOTE: Some phones will require a reboot for settings to take effect. 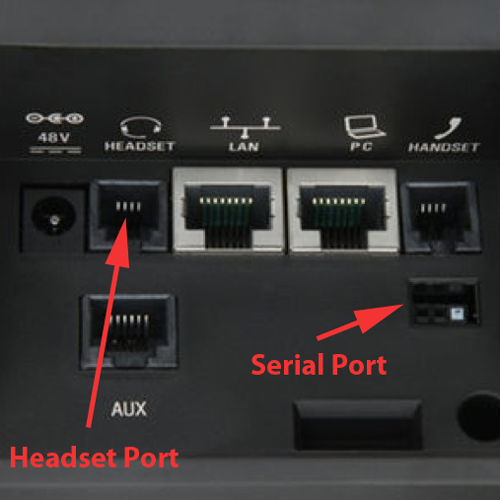 Once your phone is programmed, you will plug the APP-51 into your phones headset port and serial port. The other end of the APP-51 will plug into the base of your Plantronics wireless headset. It is now ready to use. Simply press the on/off (call control) button on the side of your headset to answer a call or acquire dial tone. When finished with a call, press the on/off button again to hangup. Phone functions, like placing callers on hold/park, establishing conference calls, transferring or dialing will always be done at your phone. A wireless headset has a mute button, which many will use as a hold, but otherwise functions the same as your basic handset, but without a cord. If you have any questions about headsets for Polycom VVX phones, please contact one of our headset experts to assist you, or visit any one of our numerous online guides. Also know the headset options we offered above are the most common. We have many other models to consider giving you choices in wearing styles, weight, durability, and noise-canceling capabilities.